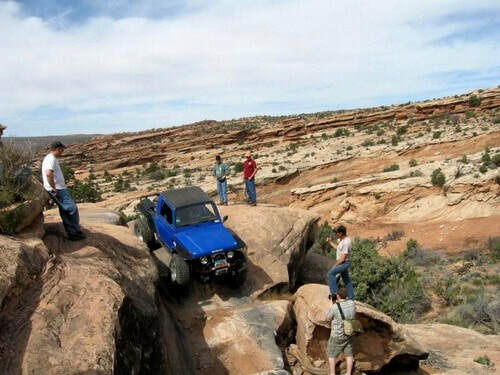 Rusty Nail is a difficult rock crawling 4x4 trail that is a "shortcut" to the most popular, and most difficult obstacles on the Golden Spike & Gold Bar Rim trails. 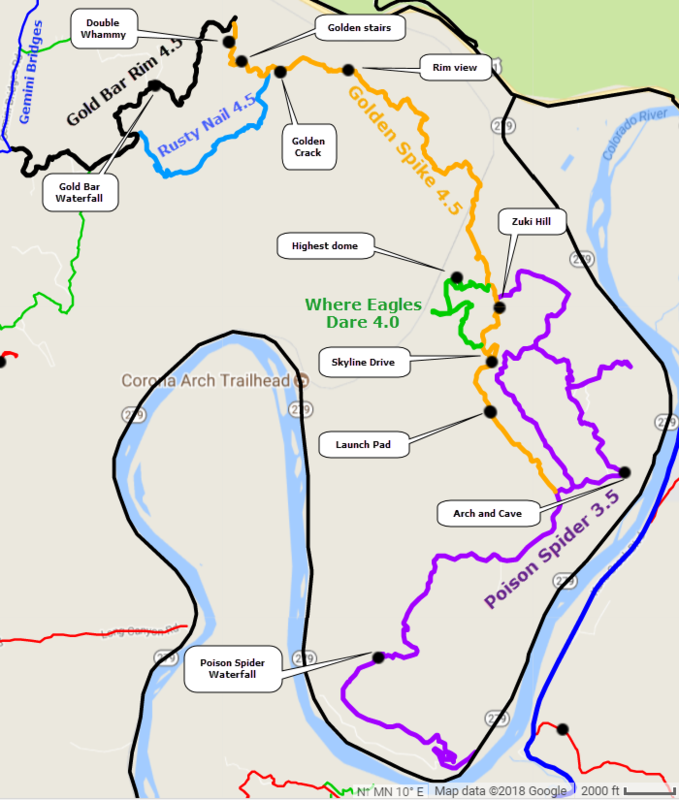 We have not done this trail. All information is from Jeep Safari. There are numerous ledges and tippy sections, but only two have earned names yet. "Riff Raff" is the first, encountered about halfway into the trail. It is a two section obstacle, the first being a large slab of rock that has an undercut that must be overcome to get up onto the slanty slab. The second part consists of a climb up numerous large rocks, again featuring undercuts, with sizeable holes between them. ​The second named obstacle is "No Left Turn". Obviously it features a hard right turn around a rock wall. Next it drops steeply down some slickrock to enter a narrow section that features a drop on the left and a wall to the right. A large boulder lies in the path, so the left tires must climb over it, all the while trying to avoid making contact between the vehicle's top and the wall.